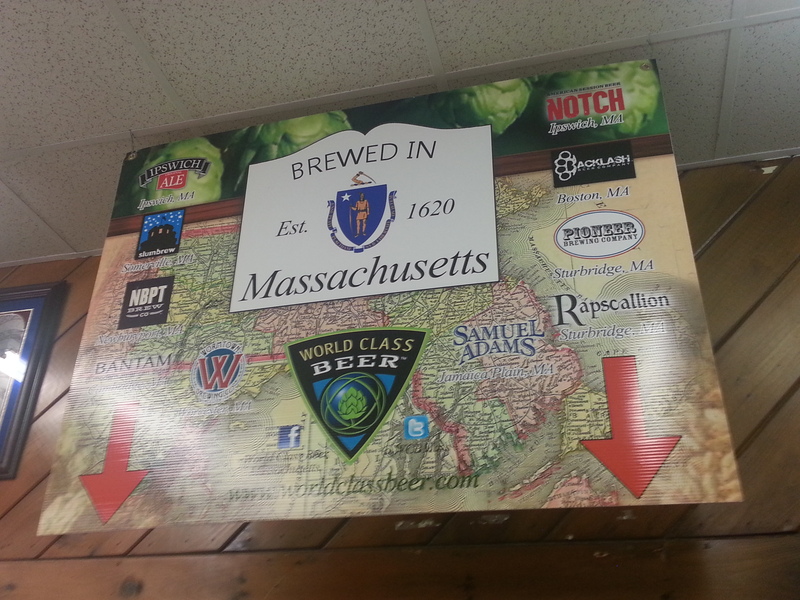 The state of Massachusetts is a beer nerd Mecca today. Sometimes it hits me just how lucky I am to live here. I know there are cities that are far ahead of Boston when it comes to craft beer and states that have been pushing quality beer for much longer than the Commonwealth. But Massachusetts, and Boston in particular, really stepped up its game during the past few years. And the five New England states in general are now producing genuine world-class beer. I don’t think I’d be writing this blog if that weren’t the case. Boston Beer Co. Harpoon. Pretty Things Beer and Ale Project. Slumbrew. Backlash. Mystic. Jack’s Abby. Cambridge Brewing Co. Wormtown. Notch. Rapscallion. I could go on and. And on. So many great local breweries. So many awesome beer bars. And so many people embracing the movement. Each and every one of these breweries, bars and people makes me proud. I’m filled to the brim with Massachusetts beer pride. Us beer-lovin’ Massholes truly have it good right now. My ideal Northeast summer vacation would be going to a Red Sox game and drinking around Beantown — glad to hear the craft beer movement is booming up there! Cheers! Right on. I spend a lot of time drinking around Fenway Park and going to Sox games during the baseball season. Cheers.